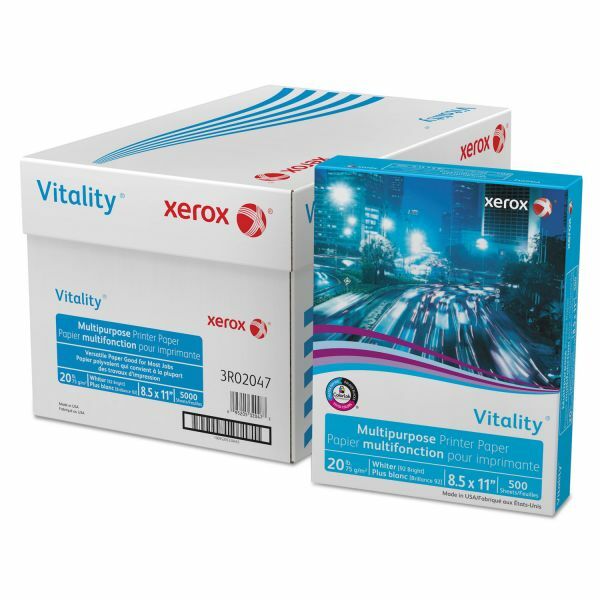 Bright white paper for everyday document printing provides 99.99% jam-free operation. Tested for dependability and reliability, saving you time and money with less downtime and greater productivity. Ideal for important documents and those requiring two-sided printing. 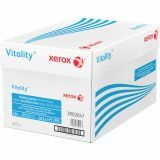 Xerox Vitality Multipurpose Printer Paper, 92 Brightness, 20 lb, 8 1/2 x 11, White, 5000 Sheets/Carton - Xerox Copy Paper is a versatile 20 lb. paper for any equipment. 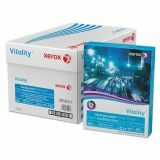 Copy paper offers high quality for consistent & flawless results for a professional touch. Paper doesn't turn yellow or curl overtime for added efficiency, and is great for office use. 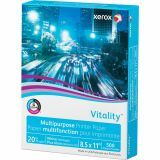 Dual purpose paper is designed for regular use on inkjet and laser printers, copiers, fax machines and offset printing presses. Works on high and low volume printers and for single or two-sided imaging.